Centrally located, this immediately comfortable home is presented in good condition and thoughtfully designed for low maintenance living. Unfolding over a practical fuss-free layout incorporating a quietly set living room, versatile family/dining domain, and two generously sized bedrooms, it makes it a brilliant first-home or ready to rent investment with tenants already in place. 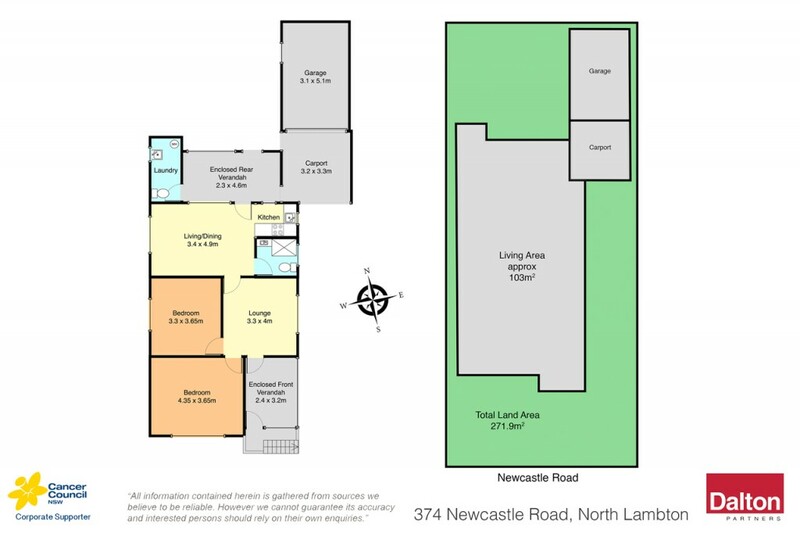 Location wise, it's a quick 15-minute drive to Newcastle's CBD and city beaches with New Lambton's retails outlets, supermarket and cafe culture just 5-minutes away. * Reverse cycle a/c in the front lounge ensures seasonal comfort. * Second living/dining zone plus two sunrooms deliver floorplan versatility. * Neat, practical kitchen and bathroom with scope to update overtime. * Two bedrooms, both liberally sized, laundry with second w/c. * No maintenance yard, single garage and single carport. * Pest & Building inspection reports available on request.